Wear name tags at all times. Acknowledgment and thanks to corporate supporters. Participants will lean the practical aspects of cephalometric analysis and surgical treatment prediction for the following session. 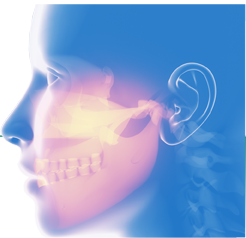 Participants will gain an understanding of surgical treatment planning in patient with maxillofacial deformity. The discussion will emphasize the surgical techniques (LeFort I, BSSO, and Genioplasty), the supportive orthodontic management and prosthodontic treatment (osseointegrated implants). Videos on taking dental impressions, making splints, making a fracture model, construction of a Gunning splint. Discussion of alginate, dental stone, plaster, acrylic, wax bite, typodonts, and articulators. Take dental impressions of each other with alginate. Use dental stone to make dental models of each other. Use the clear plastic molds when you pour these models, so they fit into the articulator. Make wax bite impressions, and mount your own dental models in the articulator with wax bite. Using your own dental models, make an occlusal splint. Using your own dental models, make a lingual and possible palatal splint, so that you are prepared for your next mandible and palatal fracture. A fracture model of a malunion of a mandible and the corresponding maxilla will be provided. Cut the mandible model to replicate the fracture. Use the maxillary model, mandibular pieces and Play-Doh to re-establish the proper pre-morbid occlusion. You may need to cut or burr the edges of the model in order to remove corners that interfere with re-establishing the proper occlusion. Once the proper occlusion is established, stabilize the reduction mandible fracture with a glue gun, and then with plaster. Mount the maxilla and mandible in the articulator and recheck that you have properly established the pre-morbid occlusion. It should replicate the occlusion of your typodont, from which the models were originally casted. Bilateral Sagittal Split Osteotomy, (BSSO), of the mandible with plating & screw fixation. Le Fort 1 Osteotomy & plating.